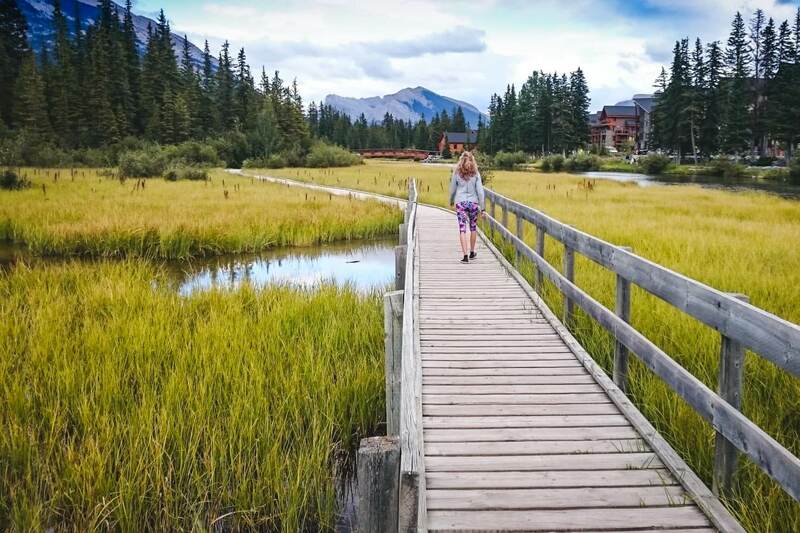 Canmore is a little known neighbour of Banff and has everything you might be looking for – mountain views, lakes, hikes and plenty of areas to relax after an adventure filled day. 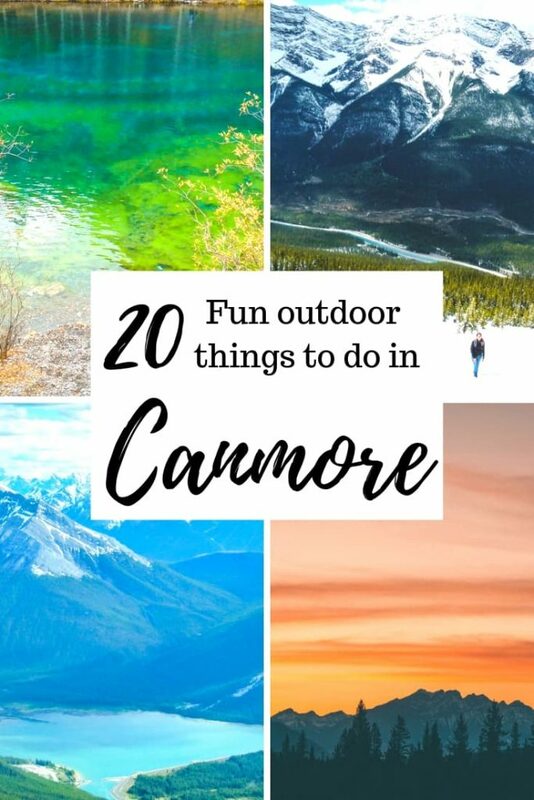 I believe there’s plenty to choose from our list of 20 fun outdoor things to do in Canmore. 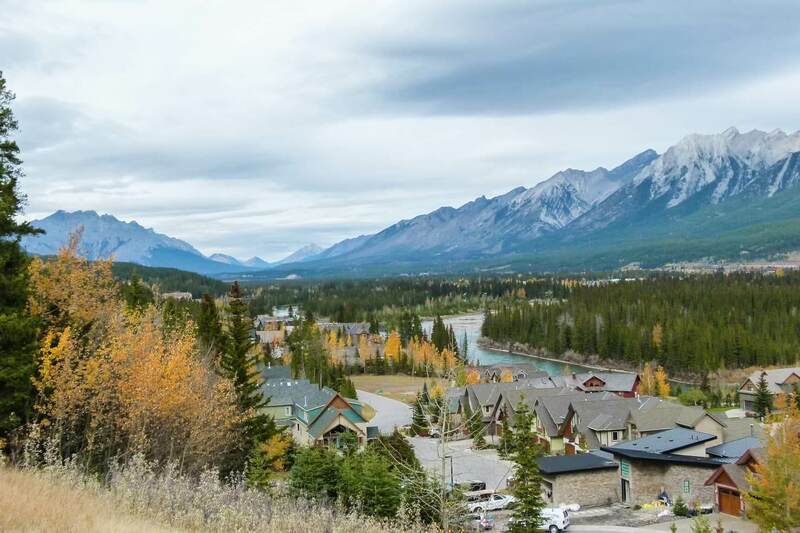 Even if you’d like to visit Banff, staying in Canmore might be a more budget-friendly option. There is also a regular public bus between Banff and Canmore. It might save you headaches from Banff’s summer parking. What I love the most about Canmore is that you are constantly surrounded by mountain peaks. The views are staggering wherever you go. Free camping – Canmore has a free overnight RV parking area near downtown located along the railway tracks near Save on Foods. There is an outhouse if you don’t have a toilet in your campervan. Travelers have also successfully parked overnight at Save on Foods parking lot. If you like adventurous trips, book a Smile Campervan from us. It’s a budget friendly option to see the Canadian Rockies. 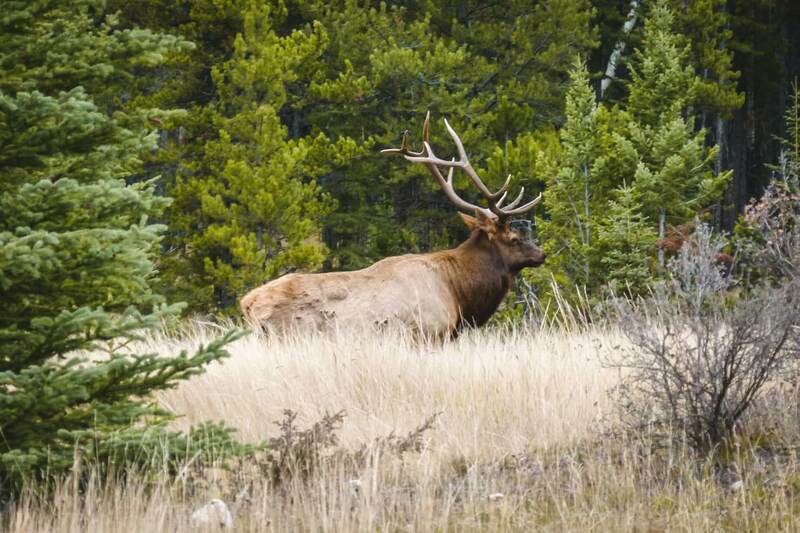 Paid campgrounds – Wapiti Campground, Rundle Mountain RV Park & Spring Creek RV Campground are located in Canmore. Bow River Campground & Three Sisters Campground are just a short drive away. 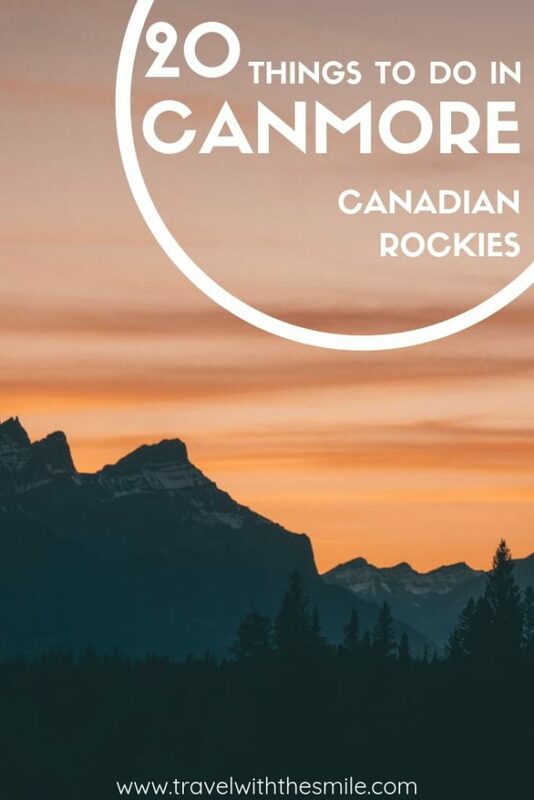 For more information about the Canmore area, current trail conditions, maps or campgrounds in the Canadian Rockies, visit Travel Alberta Canmore Visitor Information Centre or call them at +1 800-252-3782. There are picnic tables, restroom (open 7am-10pm daily), free WIFI and water for your campervan/RV. The most popular hike in the area is suitable for all levels. 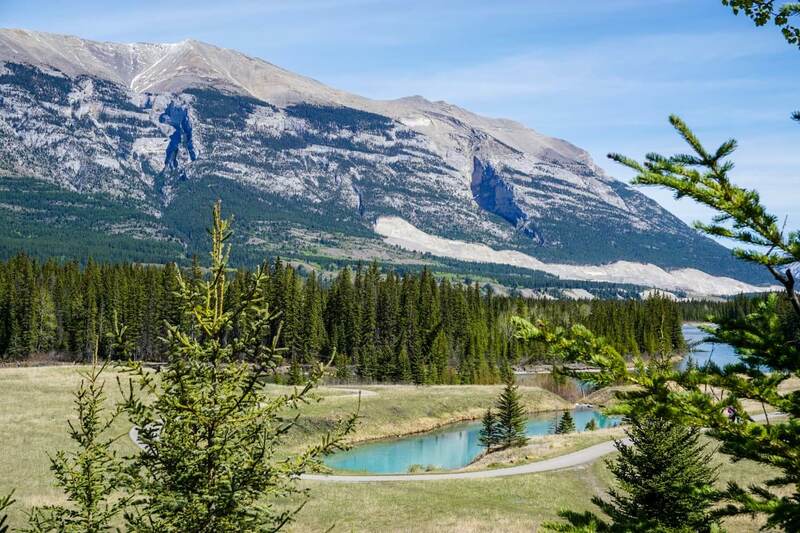 It’s an easy uphill walk in the forest that rewards you with emerald green pools at the end and a bird’s eye view of Canmore and Bow Valley peaks. The trail is located just off of Three Sisters Parkway, around 5km from Canmore downtown. There are two different trails to get to the lakes – easy and difficult. 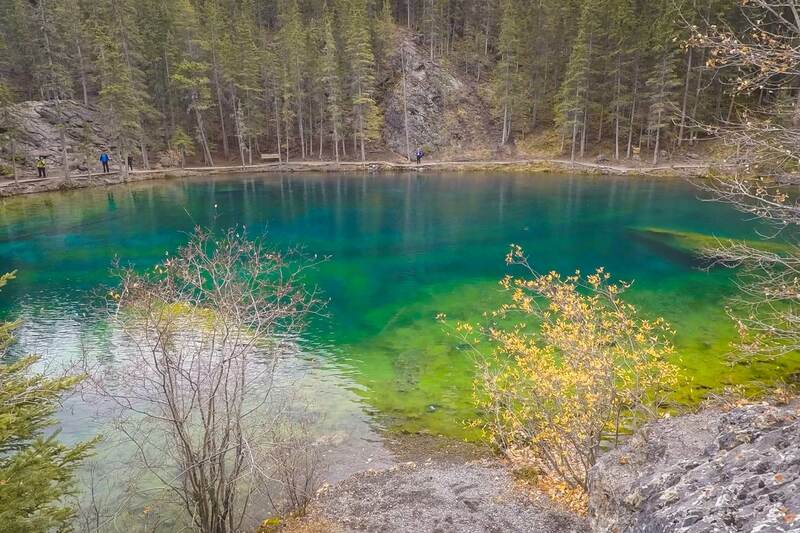 The easy trail is a gravel road with a gentle ascend and the difficult trail takes you through the forest trail passing Grassi Lakes Waterfall before you reach the lakes. The 4km round trip hike can be easily done in 1,5 hours. You can walk around the lakes, enjoy a picnic with the views or watch rock climbers; it’s their favourite spot year round. This is, in my opinion, one of the best things to do in Canmore. For current trail conditions and closures, check this website. Similar scenic hikes are in Banff National Park – check out Johnston Canyon Hike to Ink Pots & Sulphur Mountain Hike. 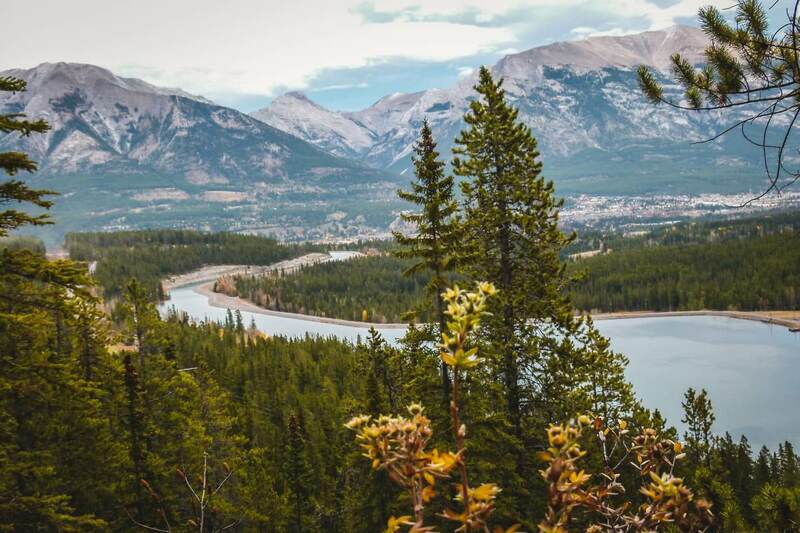 The Rundle Forebay Reservoir is usually sheltered from the strong winds making the surface smoothand a great place for favourite summer activities. You can rent kayaks or SUPs in Canmore and then drive up to Rundle Forebay. If you paddle along the shoreline to the power plant, it’s around 5km. Follow the signs to Canmore Nordic Centre and you’ll see the reservoir on your left just before you reach the Nordic Centre. 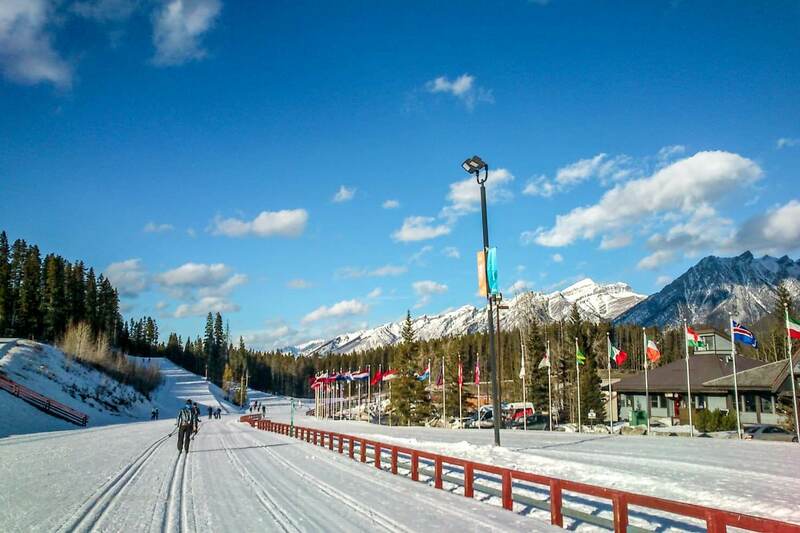 The Canmore Nordic Centre has over 100km of trails. There are a few dirt roads but mostly single tracks in the forest with a nice flow. You get an occasional mountain view once you reach the dirt road outside the forest which provides a nice opportunity to enjoy the view. The shop on-site offers bike rentals and the information centre trail map, or you can download it here. The trails are free to use. Be aware that you’re in a bear country (like anywhere else in the Canadian Rockies) so you should make noise while riding, especially before making sharp turns, and of course, carry a bear spray. We usually carry a whistle and use it quite often while riding. Canmore has an extensive trail system all around. The gravel path along the Bow River is a popular spot for bikers, runners, hikers and all around visitors. Michal and I like to go biking along the river with occasional dip for our tired legs. The trail is a mix of paved path and gravel and offers constant mountain views through an open valley and also some old mining site. From the bridge across the Bow River (on Bridge Road), you can head south on the river path towards Three Sisters mountains. We usually park by Riverside Park (on River Road) and ride from there. This is my all-time favourite spot in Canmore. It’s a beautiful quiet park right by the river (obviously from the name), has picnic tables and easy access to the river. We like to come here after hiking or mountain biking to relax on the grass and have a picnic. If you feel like stretching your legs, the river path can take you along the river making a loop. An incredibly popular hike near Canmore is Ha Ling Peak. Due to its rewarding panoramic views and quite a short 3 km trail up the mountain, it’s heavily trafficked and I would not advise hiking during the weekends because of it. Its neighbour Mt Lawrence Grassi offers the same views and has no crowds. The trail is more difficult, a little scrambling is required on the loose rocks. 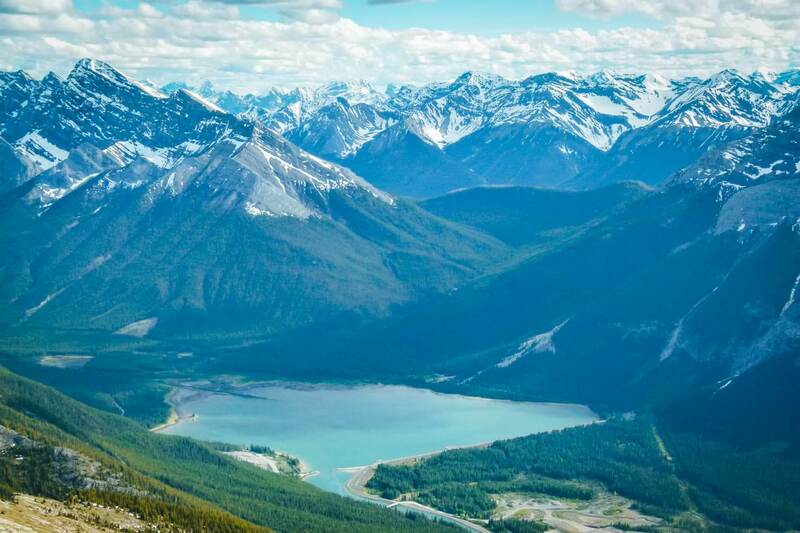 We have covered both of these hikes in detail in our post Ha Ling Peak vs. Mt Lawrence Grassi – hiking for the best views of Canmore and Canadian Rockies. Read our post, it will help you decide which trail to choose. Ha Ling Peak trail is currently closed for construction. Check this website for updates when it will open again. Although I haven’t tried this personally, people who’ve been are raving about caving in Canmore. While many caves around the world are strictly led through a man-made path, in Canmore you can unleash your adventurous spirit: crawl through and climb in the cave with a guide. Just writing about this makes me want to go caving! You can book the experience directly with Canmore Cave Tours. If you’re visiting the Canadian Rockies, you might as well learn how they were created. A museum dedicated to geology has many collections of fossils and rocks on display. It’s located on 10th Street, close to 8th Avenue, open Saturdays 10 am to 5 pm and costs CAD 5. If you’re interested to visit another time, email them at [email protected] and they might be able to accommodate you. This would be an ideal activity when the weather doesn’t cooperate. You can also check out Elevation Place, an indoor playground with a pool, climbing wall & fitness gym. The trail can be found at the end of the Main Street (8th Street) near the Spring Creek Drive. There is a short and easy trail that connects to a wooden boardwalk. It’s about 2km in total and the main highlights are uninterrupted mountain views, quietness, swimming ducks in the ponds and occasional deer. Quarry Lake is a favourite place for hikers, swimmers, and picnickers. It’s about 3 km from Canmore and you can access it either by car (sign is along Three Sisters Parkway) or walk. During summer, it gets very crowded with people enjoying barbeque, swimming or paddle boarding on the lake. The big parking lot gets full very quickly. There is a washroom by the lake, picnic tables, and also a few hiking trails to get away from the crowds. What I like is going mountain biking on the nearby trails and then cooling off in the lake. Mount Lady MacDonald is a moderate and steep hike straight up the mountain. There is some scrambling required near the summit but the panoramic views of the Bow Valley are outstanding. If you’re not comfortable hiking on the loose rocks, you can finish at the helipad which is below the summit. If you hiked Mt Lawrence Grassi which I described earlier, this will be a piece of cake for you. The trailhead is located on the other side of the valley from most activities described here. The parking lot is between Benchlands Trail and Elk Run Boulevard. While the iconic peaks are seen from just about anywhere in Canmore, the best photos are usually taken from Policeman’s Creek or Bow Flats Natural Area. The reflection of the Three sisters on a water surface creates a stunning image. A great example is here. A paved trail used by bikers of all ages connects Canmore and Banff. 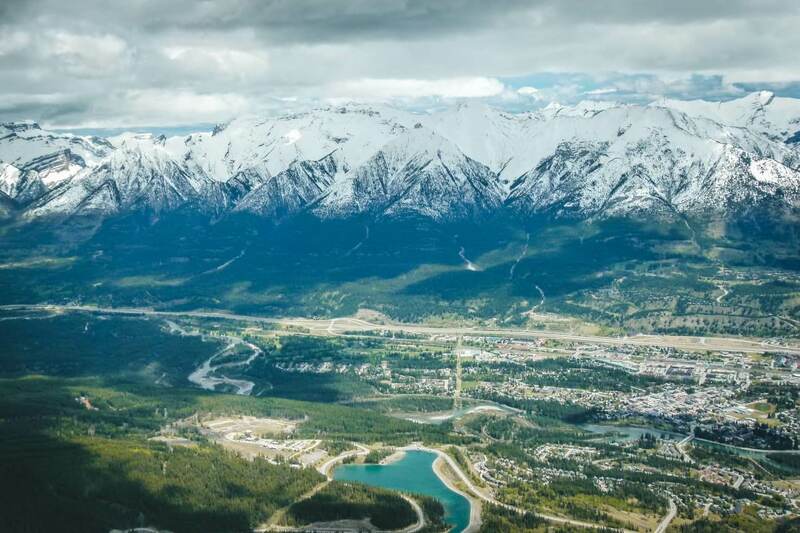 It’s 27 km long with almost no elevation gain and offers panoramic views of the Bow Valley. 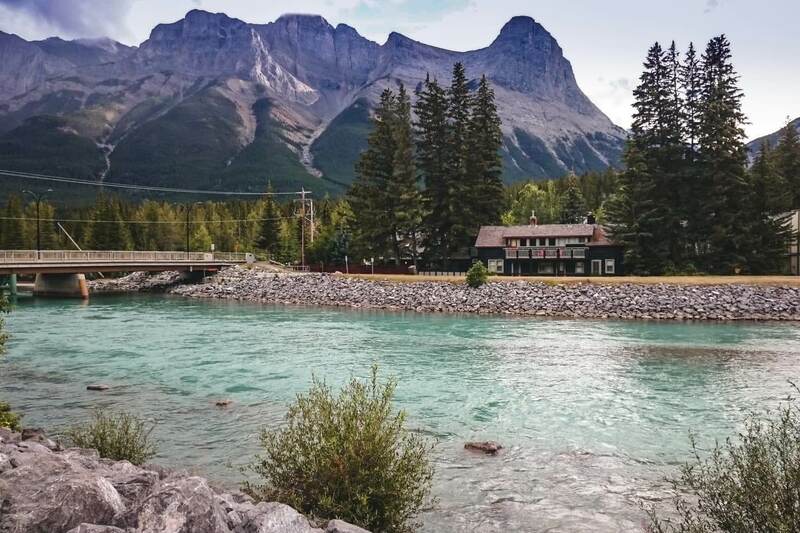 The bike path to the Banff Park Gate is 22 km and makes for a great round trip back to Canmore (or you can connect to the trail through the mountains which I explain below). The bike path follows the Trans-Canada Highway so you’re sometimes riding next to the highway or you’re separated by trees – just so you’re aware there might be noise. The Rocky Mountain Legacy Trail in Canmore starts just across the Travel Alberta Canmore Visitor Information Centre where you can also park your car. This trail holds a special place for me. When we lived in Banff, we used to bike on the Legacy Trail a lot and visit Canmore (the bus didn’t exist). It’s also the place where we saw our first black bear, right in front of us walking on the bike path. It was our 2nd day in Canada so the shock was quite huge as you can imagine! A more adventurous option of biking between Canmore and Banff is through the valley on the Goat Creek Trail. You will have Mount Rundle on your right, and Sulphur Mountain (with Banff Gondola) on your left. It’s a scenic trail going mostly downhill, around 17 km. If you want to bike a loop, I would recommend going from Canmore through Goat Creek Trail to Banff, then connect to Legacy Trail back to Canmore, and bike up to the parking lot. (If you get too tired, you can take a bus back from Banff to Canmore and then bike up to your car from Canmore). The parking lot for the trailhead is the same as for Ha Ling Peak hike, around 9 km from Canmore on the Three Sisters Parkway. When you travel on Trans-Canada Highway, you can see the Hoodoos on your right. You can also hike to them and learn how they were formed on the information board. The trailhead starts along Benchlands Trail close to the Bike Skills Park. Park at the gravel parking area by the huge boulders. 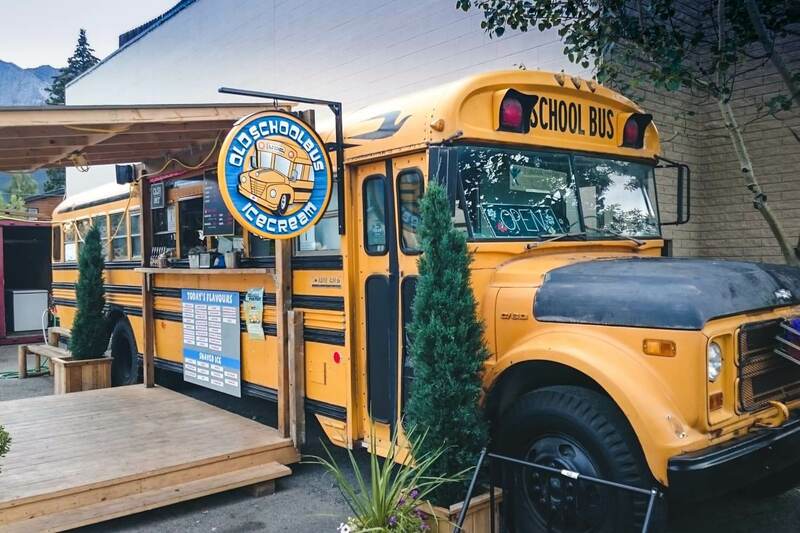 I’m sure when you read the heading you thought: “What?” Well, an ice cream boosts happiness and it’s even more interesting when it’s served from a school bus. The old yellow school bus transformed into an Ice Cream truck stands on 8th Street (Main Street) close to the Spring Creek Drive. It’s said to be the best ice cream in Canmore. Go try it yourself! The Nordic Centre was built for the Winter Olympics in 1988 and disciplines such as biathlon and cross-country skiing were held here. While you can bike or hike the trails in summer (for free), you can go cross country skiing in winter on the maintained or nature trails. The day pass costs CAD 15 and a 6,5 km trail is also illuminated for night skiing. You can rent skis on site and also use their showers after the skiing if you need to. The Canmore Nordic Centre holds many events throughout the year and the Biathlon World Cup is the most popular during winter. If you like cross country skiing, read our post Cross country ski trails in Banff National Park for more options. Grotto Mountain hike is popular in summer, while an ice walk to Grotto Canyon is a winter activity. The trail is only 1 km long and spikes or crampons are highly recommended as you will be walking on the frozen creek. If you enjoy ice walks, check out the famous Johnston Canyon in Banff National Park. Our post has plenty of pictures of frozen waterfalls and tips for an enjoyable trip. Not surprisingly a favourite activity during Canadian winters is ice skating. While you can go to Canmore Recreation Centre which has two indoor skating rinks, you can also skate at the Skating Pond located between 7th Avenue and 11th Street. Even more ice skating options with mountain views are in a nearby Banff, check out our post Ice skating in Banff for all options. A great way to see the Canadian Rockies in winter is from the dogsled. 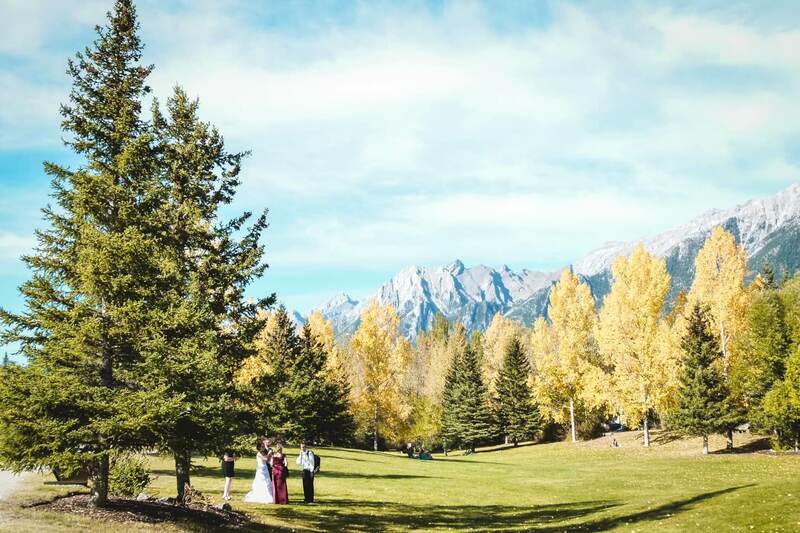 Several companies located in Canmore will take you to the Spray Lakes Reservoir where you’ll be surrounded by mountain peaks. Which one of the Canmore activities would you like to try?